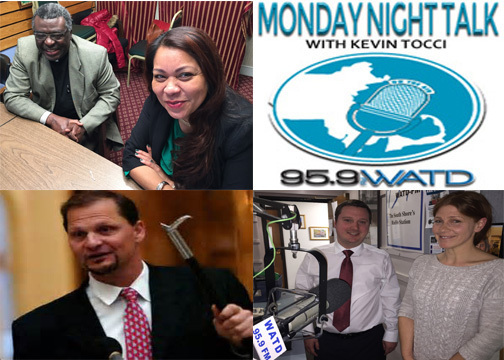 Here's the Monday Night Talk radio program from January 16, 2017 featuring Isabel Lopez, lead organizer with the Brockton Interfaith Community and Reverend Dr Abraham Waya; Weymouth Mayor Bob Hedlund, Weymouth Town Councilor Rebecca Haugh and State Senator & Weymouth Town Council President Patrick O'Connor! 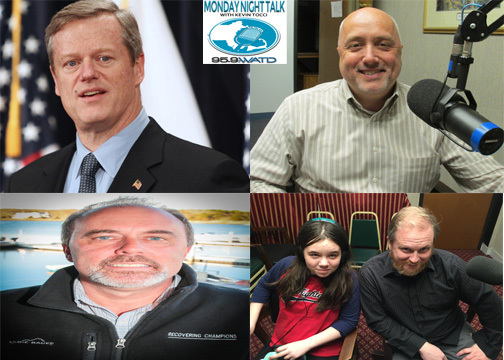 Here it is...the Monday Night Talk radio show that aired on January 9, 2017 featuring Massachusetts Governor Charlie Baker; Brockton Mayor Bill Carpenter; Ken Weber, CEO/Executive Director of Recovering Champions and Kevin and Devin Lowney from the Milton Players! 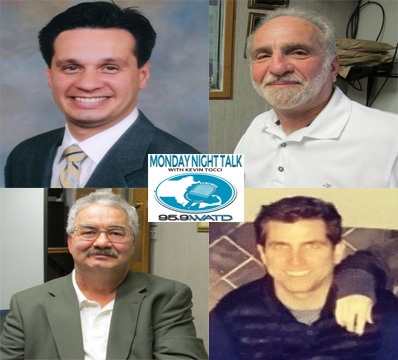 Here's the Monday Night Talk radio show that aired on December 26, 2016 featuring State Representative Matt Muratore; Kingston Collection General Manager Wynn Schoeneck; WATD's Dave Skill and Rob Hakala and Jerry Thornton from BarstoolSports.com! 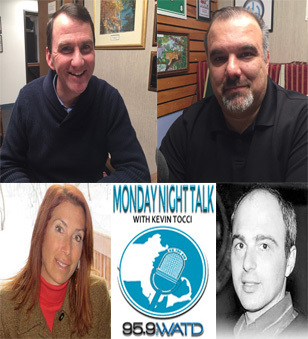 Here's the Monday Night Talk radio show that aired on December 12, 2016. 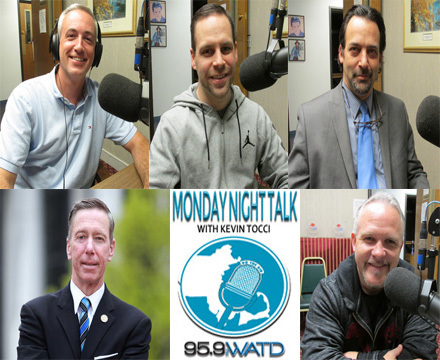 The guests that appeared on this program include State Senator Vinny deMacedo; Chip Faulkner from the group Citizens for Limited Taxation; Ron Franey, Program Coordinator/Mediator with Greater Brockton Center for Dispute Resolution; Whitman Police Chief Scott Benton and Mike Faherty from Operation Explosion! Do you have an topic for a future show or info on an upcoming community event? 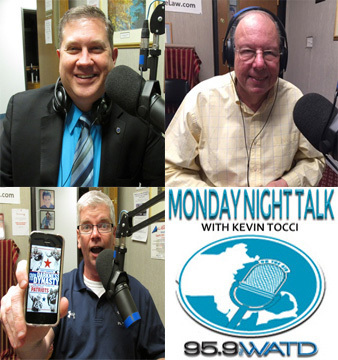 Email us at mondaynighttalk@gmail.com or "like" and post a comment on our Facebook page: www.facebook.com/mondaynighttalkon959fmwatd. If you're a fan of the show and enjoy our segments, you can either download your favorite segment from this site or subscribe to our podcasts through iTunes today! © Monday Night Talk with Kevin Tocci - 2016. Unauthorized use and/or duplication of this material without express and written permission from the show host and/or owner is strictly prohibited.